We are so excited to announce the sale of our BEST SELLING eBook! Make sure to get your book now, your kids will love all of the fun activities inside! 2. there is a diverse range of activities that can be done at home or on the go (check out the gel sensory bag and lacing cards for the car)! 3. the activities are ACTUALLY things that all ages are going to enjoy. For example, the lava lamp activity had a friend’s 2- and 7-year-olds just as entertained as my 4-year-old! I was surprised as to how many activities were listed in this book and the diversity of the options. I’m not the most creative person and often times find myself wondering what I should do to occupy my toddler during down time (trying to stay away from too much tv). This book gives me endless options and makes it easy. Step by step directions and a list of items needed at the beginning. For a busy, working Mom, I needed this! This book has so many ideas in it! What a great guide for when the kids are “bored” or you just can’t think of anything new to do. 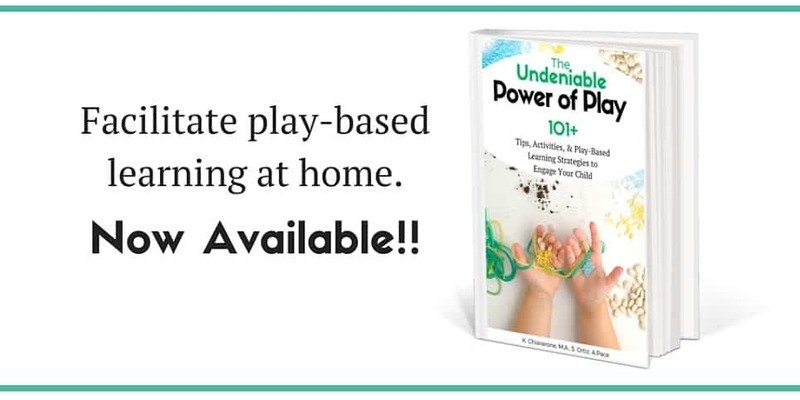 It is perfect for ANY parent, grandparent or caregiver because it has play ideas that don’t take a lot of time for the adult to set but the play can last hours for the kids. 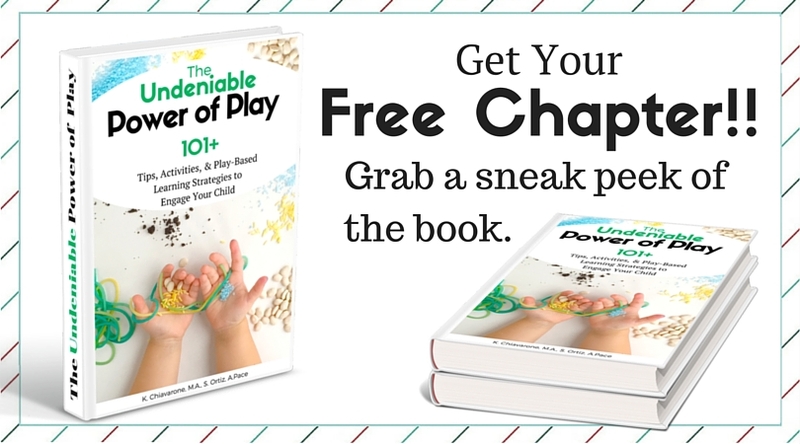 Plus, the book encourages playing TOGETHER, something that I feel more parents/adults and children need to do. Great work ladies! LOVE LOVE LOVE this E-BOOK! I have done several activities with the kids from this book and it’s amazing. I am loving all the creative and kid directed ideas available to me. I’ll be depending on this heavily all summer long! Search through our Pinterest board here. Check out #PowerOfPlay52 on our Instagram account here. A few sneak peeks from the book. …you needn’t dust off your science textbooks or brush up on your biology cue cards. Our science activities were created with early learners and common household items and easy to access ingredients in mind. …learning through the sense is considered so important is because both adults and children remember information better when more than one sense is being engaged. …these crafts are meant to allow your child the freedom to express their creativity and explore at their own pace. For a little more info on the power of play, check out this infographic we’ve put together for you! Pin it to your parenting or education board on Pinterest!